IDIL Fibres Optiques is the official distributor of two photon laser scanning microscopy solutions for Femtonics in France. 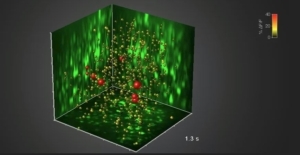 Femtonics manufacture a wide range of two-photon laser scanning microscopes for the booming area of (neuro)physiological investigations. 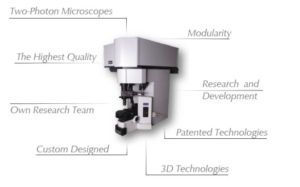 Our microscopes are tuned for the fastest 2D and 3D optical measurements and are especially suited for cutting-edge brain research and pharmaceutical development. Each Femtonics microscope fits the researcher’s own needs and it can suit a wide variety of biological applications.